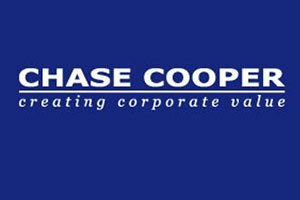 Chase Cooper is a market leading enterprise wide Governance, Risk and Compliance (GRC) solutions provider. Focused on the financial industry, their business solutions include aCCelerate, our award winning software suite including powerful analytics capabilities for enterprise wide Operational Risk, Consultancy Services and Training for GRC. Powered by risk professionals, their industry experience, the subject matter knowledge of thier consultants is reflected in their solutions ensuring an efficient, rapid and cost effective method of achieving results that sets Chase Cooper apart as a market leading business solutions provider. Bournemouth has a strong jazz scene scene made up of musicians, big bands and vocalists, when you marry this with a fantastic array of venues across the town it seems only fitting for Bournemouth Jazz Festival to invite a variety of nationally and internationally respected artists to make up a truly special UK line up. Bournemouth Jazz Festival 2016 caters for all Jazz Fans from connoisseurs of modern Jazz, Global World Jazz to the toe tapping excitement of big band and swing, there’s something for everyone. Our work with Bournemouth Jazz Festival included a responsive website with integrated CRM capabilities, event listings, design support and email marketing. Rocket Digital Media are a well established local brand that offer a full range of promotion for business, organizations and events throughout the Wessex region and beyond. Their flagship product is bournemouthtown.co.uk which has just gone through a major redesign and platform upgrade. Working in conjunction with Chapter 2 design in Christchurch, Cracking Media has developed a robust platform that’s ready to roll out nationwide as part of a plan to offer local people across the country their very own online magazine focusing on local events and local matters, because local does matter. Using a combination of news, weather, travel, events, guides and articles bournemouthtown.co.uk has a proven track record of bringing the local people together with local businesses to help boost the local economy and highlight the local skills that are available. Durable UK has their head office in Ferndown and is the UK arm of a German company founded in 1920. Durable manufacture and supply office products to business, distributors and retail outlets such as Staples and WH Smiths. Durable’s product range includes UK specific products which are not included in their European catalogues. Cracking Media provides product photography and video production services for these items, ranging from small product shots, full office mock ups using models to demonstrate usage, and promotional videos to demonstrate and better market Durable’s products. The photography we provide is used for catalogue images as well as product packaging, so it’s possible you’ve seen our work already and didn’t know it. 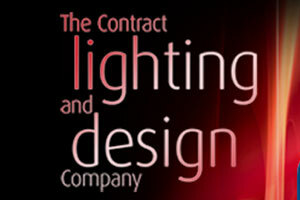 The promotional videos we film are used on the company’s YouTube channel.